A tiger that killed a keeper at a zoo was a “rare Malayan male called Cicip”, the park’s director said. 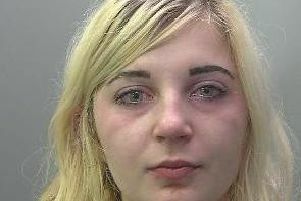 Rosa King, 33, died at Hamerton Zoo Park near Huntingdon on May 29 in what was described as a “freak accident”. Andrew Swales, director of the park, said Cicip will not be put down. “This has been supported by Rosa’s parents who have confirmed that this is not what she would have wanted,” he said. The park has been closed since the incident and will re-open tomorrow (Friday) following a licence and public safety inspection by Huntingdonshire District Council. “The decision to re-open has been taken in consultation with the police, our staff and Rosa’s family and while this remains a very difficult time for all concerned, there has been tremendous support for this,” said Mr Swales. “As always, the safety of our staff and members of the public remains our key priority. He asked that people continue to respect the privacy of Rosa’s family and friends and colleagues at the zoo, and that he could not comment further while a joint health and safety investigation led by the council and Cambridgeshire Police is ongoing. An inquest into Ms King’s death was opened and adjourned at Cambridgeshire Coroner’s Court in Huntingdon last week. Senior coroner David Heming said Ms King died of “traumatic injuries” and was formally identified by her employer Mr Swales, who had known her for 15 years. He said the investigation into the circumstances of how the tiger came into direct contact with Rosa would “take some time to complete”.